While blockchains are effective in securely storing data, there is still a significant issue in authenticating data inputs that may have varying degrees of trustworthiness. An immutable ledger is not trustworthy if the data contributed to it is not reliable. The Proof of Trust protocol solves this problem. The precise and indelible nature of smart contracts demands trustworthy data. The automation and immutability that makes smart contracts so appealing also has the potential to derail their viability. While Proof of Work and Proof of Stake provide distributed trust for data storage, the introduction of PoT provides distributed trust for data input.  Just as courts and lawyers provide a vital validation and appeals processes for paper contracts, PoT Delegates provide the same process for digital Smart Contracts. The Proof of Trust team works with legal and compliance counsels Greenspoon Marder and Deloitte to ensure compliance across 20+ jurisdictions under current US and international law. Launch blockchain-based decentralized app (dApp) for smart contracts and roll out multiple blockchain based Proof of Trust protocols. Continue to solidify its corporate relationships with conglomerates in multiple industries and geographies, and offer additional utility use-cases to the The Proof of Trust Token.